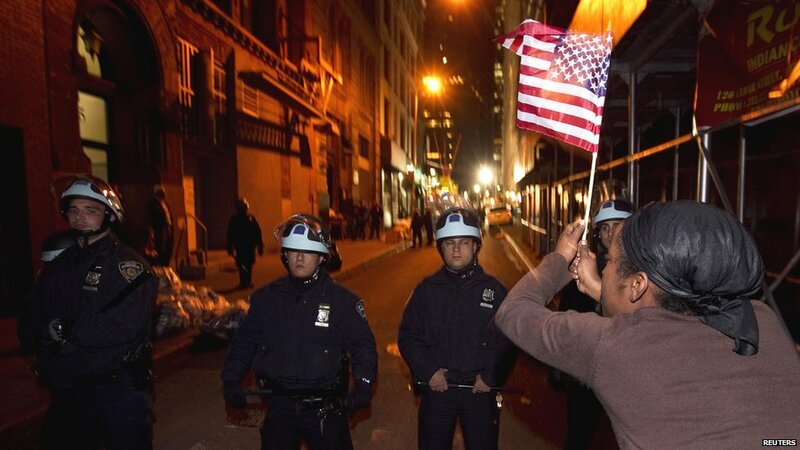 Police launched a late-night raid to clear the Occupy Wall Street protest camp, which has been based in New York's Zuccotti Park since September. 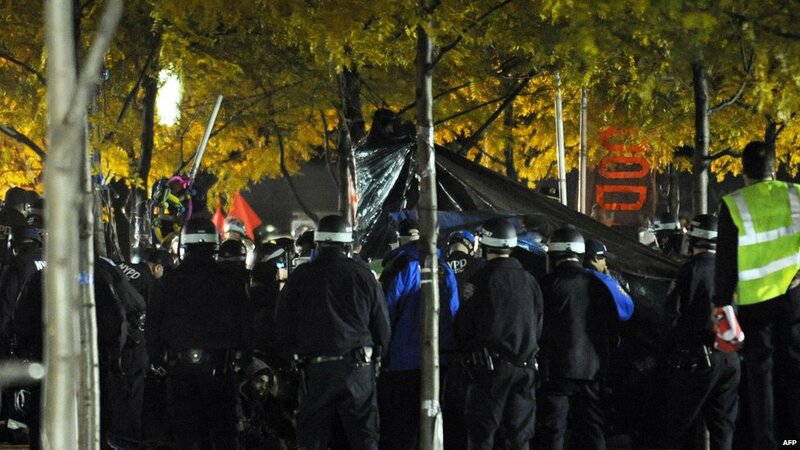 Police blocked off access to the camp while the operation to clear out tents and protesters got under way. 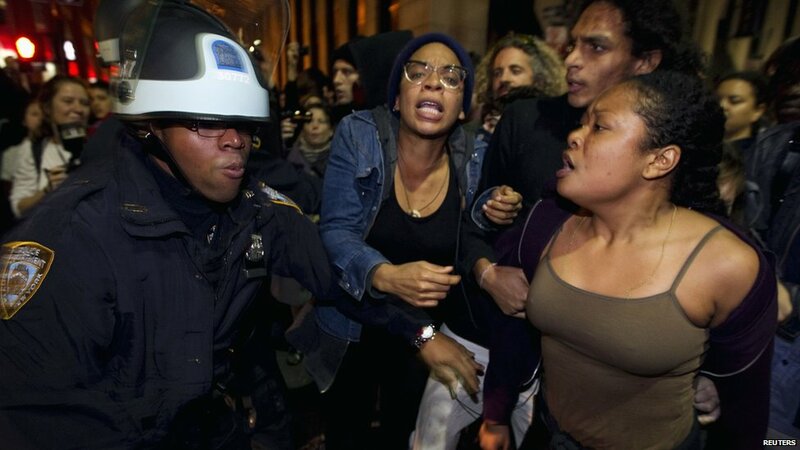 Around 200 people were arrested, including a number of journalists. 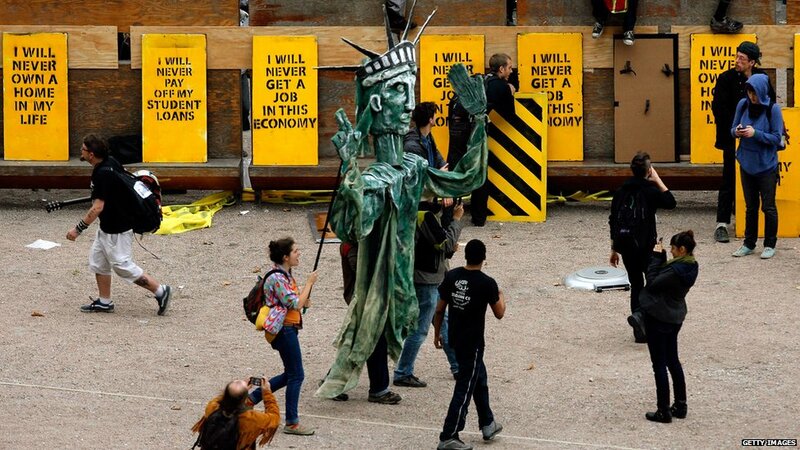 The camp was set up to protest against economic inequality and has inspired dozens of similar sites around the world. 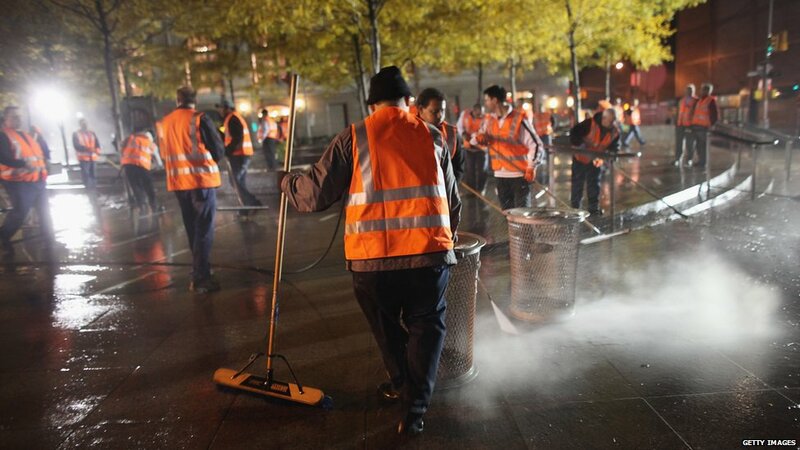 The clearing of Zuccotti Park came after authorities in other parts of America took action against similar sites, including in Oakland and Portland. 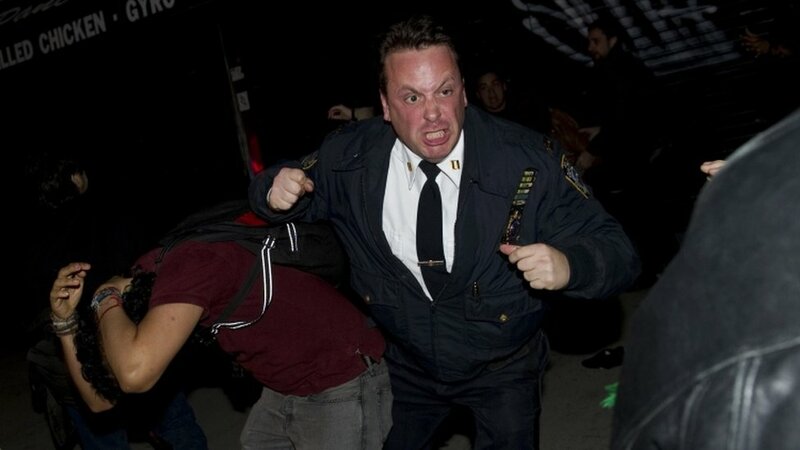 Authorities warned protesters that belongings left behind would be put into storage and that they would not be allowed to bring camping equipment back to the park. 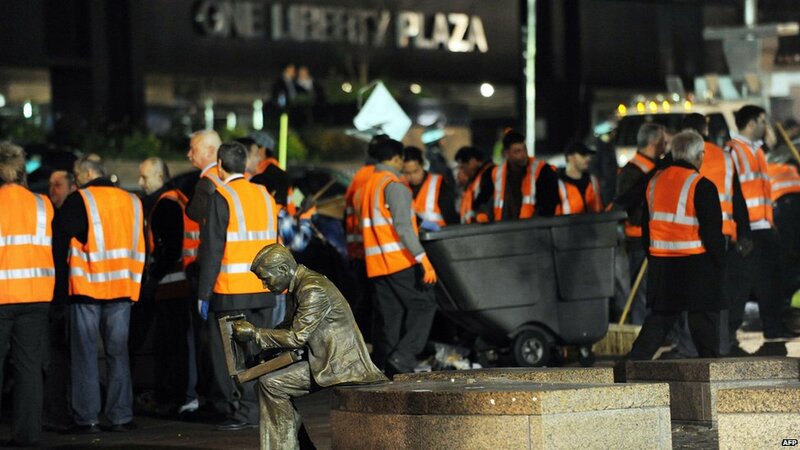 After protesters and their belongings were removed, sanitation workers cleaned the area with jet hoses. The action by the police took many activists by surprise - some said they would return to the park once the clean-up was over. 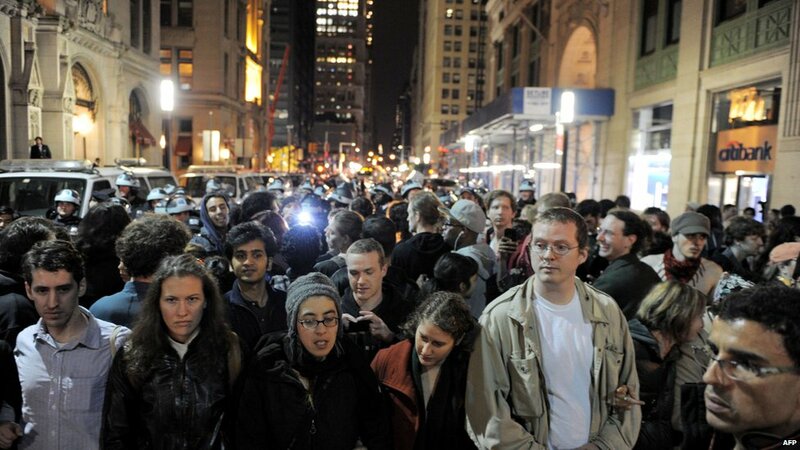 Hundreds of people later moved to nearby Foley Square to continue their demonstration. 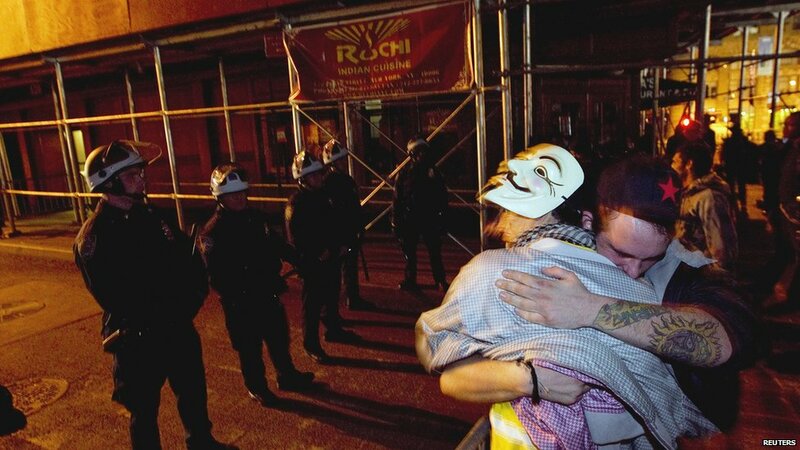 A message was sent from a Twitter account, OccupyFoleySq, set up on Tuesday morning, saying: "We are here and growing." 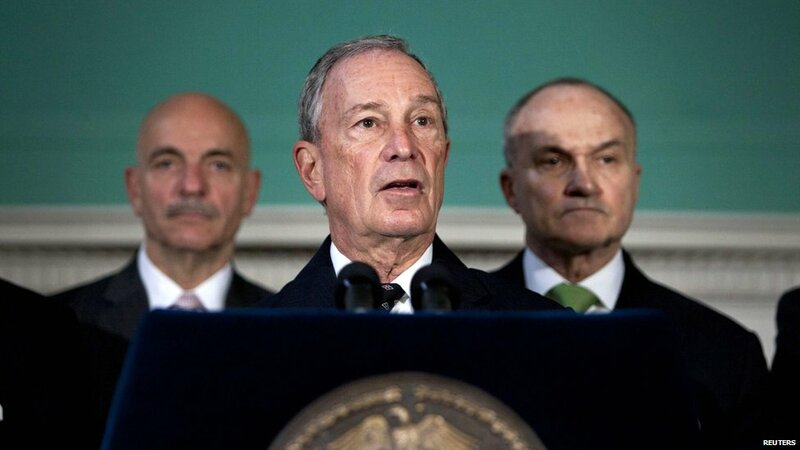 New York Mayor Michael Bloomberg (centre) said at a news conference that the protesters would now have "to occupy the space with the power of their arguments". 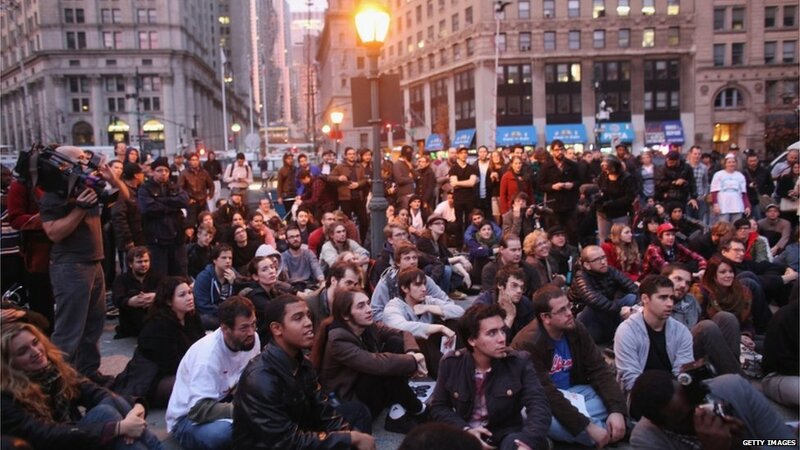 Some activists tried to return to Zuccotti Park in the morning while others made their way to other spaces, like here in Duarte Square.